Relax with a glass of wine or beer, have nice conversation, have breakfast outside in the summer or just read a book - our terrace offers space for all your desires. Quietly located in a residential area, but still close to the city center, university hospital, university, main train station and the motorway. Coffee or tea? Hearty or sweet? In a hurry or completely relaxed. No matter how you start your day, our breakfast menu offers each guest their own personal breakfast. For a fresh draft beer, a good glass of wine or a chilled soft drink is always time - in our lobby bar you can enjoy different drinks from our bar card. In our rooms in different categories, you can prepare yourself for the next day in a relaxed manner - whether meeting, business appointment or sightseeing! All our newly renovated bathrooms are equipped with a shower. For your personal conference or meeting, we will gladly put together an individual offer. 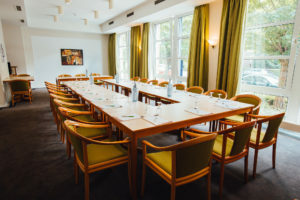 Our bright meeting room offers various possibilities for a successful conference. The whole world of caravaning. From August 31 to September 8, 2019 in Dusseldorf. True to the motto "At home in the world" you will experience the whole fascination of mobile travel here. Marvel at over 2,100 vehicles, find out more about trends in caravaning or get tips from the experts. 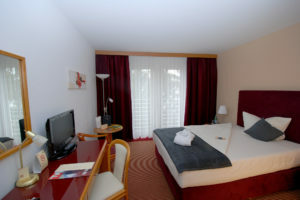 Whether you are traveling to Dusseldorf for business or pleasure, whether you need to go to university, to the fair or to the city: our well located hotel is the best choice. We offer a conference room with modern conference technology. Whether for 2 or for 20 people. Ask for your individual offer suitable for your conference or seminar. 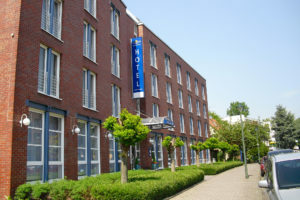 Only a few minutes away: The hotel is located directly at the University of Düsseldorf and Heinrich Heine University. 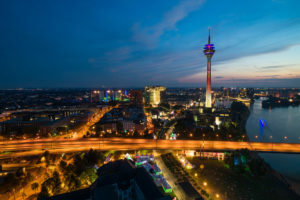 The tram is only 2 minutes walking distance from the hotel and takes you in a few minutes to the center of Dusseldorf. The A46 motorway is just 2.5 km away, and the A3, A59 and A57 motorways can be reached in a short time as well. 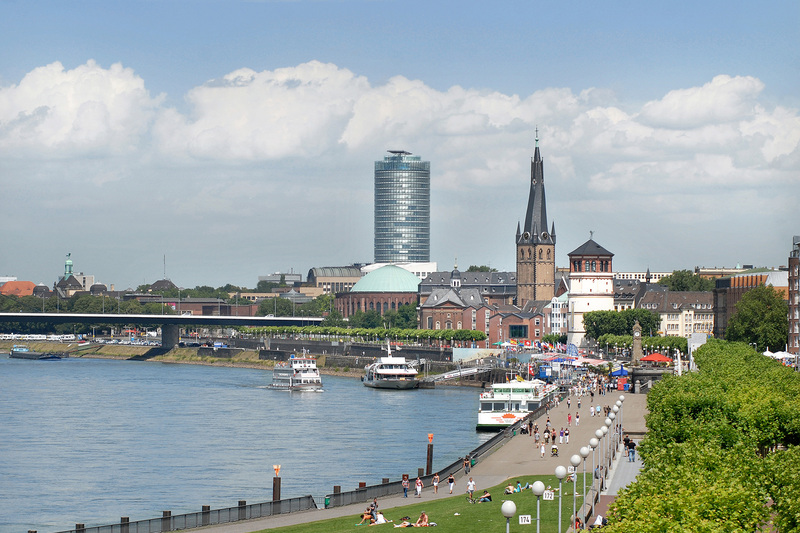 Düsseldorf is the state capital of North Rhine-Westphalia and the administrative seat of the administrative district of Dusseldorf. The Rhine metropolis is one of the five most important, international highly interconnected economic centers in Germany. Düsseldorf is a trade fair city and Headquarter of many listed companies. In addition, it is Germany’s top-selling location for auditing, corporate and legal advice, advertising and fashion, as well as an important banking and stock marketplace. It is also a leader in Germany’s art trade. Düsseldorf has several Rhine ports. Düsseldorf Airport is the intercontinental hub of North Rhine-Westphalia.